First of all let's try to understand what is Jenkins. As per Jenkins official website Jenkins is the leading open source automation server, Jenkins provides hundreds of plugins to support building, deploying and automating any project.in other word you can say that Jenkins is a Continuous Integration (CI) server or tool which is written in java. It provides Continuous Integration services for software development, which can be started via command line or web application server. 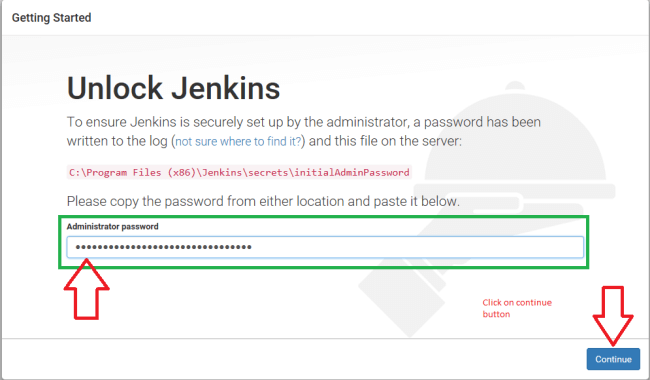 In this article, we will learn how to install and set up Jenkins on a Windows machine. If you are planning to take advantage of TDD automation with Jenkins in order to run automated tests as part of build process, it is relatively easy to run TDD tests as part of the Jenkins build, with testing frameworks, like Xunit or NUnit or MSTests in place. We will look into these articles soon. It's an open source tool with great community support. Easy to install; and it has a simple configuration through a web-based GUI, which speeds up the Job. It has around 900+ plugins to ease your work. If a plugin does not exist, just code it up and share with the community. It is built with Java and hence, it is portable on all major platforms. The below are some common uses of Jenkins. Building snapshot and releasing artifacts for your application. Deployment of the released artifact with custom scripts. 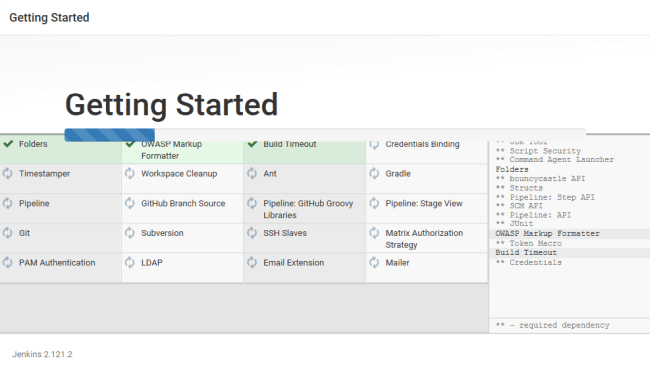 Continuous integration pipeline support for establishing a software development life cycle workflow for your application. Support for scheduled builds & automation test execution. Can associate Jenkins with a version control server. Can trigger builds by polling, Periodic etc. Can execute bash scripts, Shell scripts, ANT and Maven Targets. Can Publish results and send email notifications. Install JRE, click on the downloaded EXE from step 2 and follow all the instructions suggested by the installer, with default options for now. Check if JRE is installed on your machine by command line - $ jave -version as in the below screen. 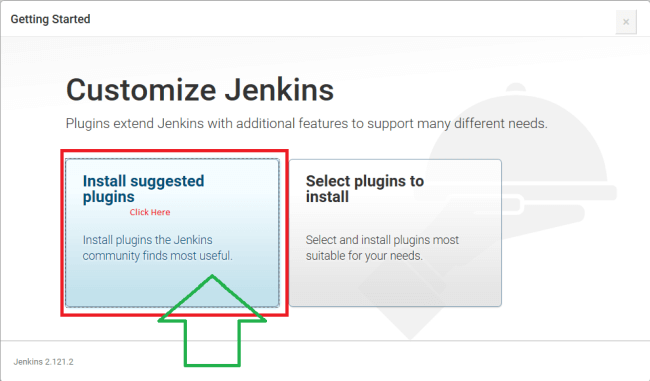 Install Jenkins, click on the downloaded EXE from step 1 and follow all the instructions suggested by the installer, with default options for now. 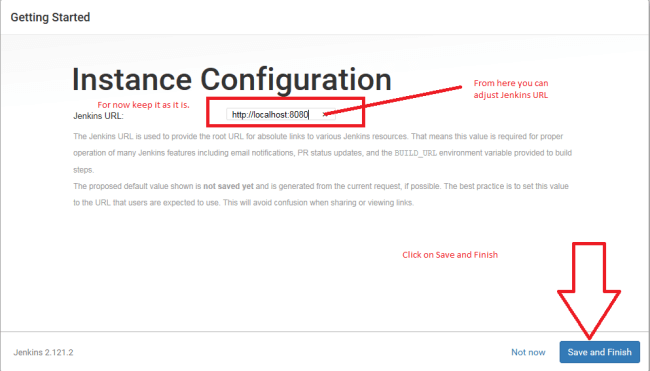 After Jenkins installation, the Jenkins Web UI will be launched in the web browser as below screen. 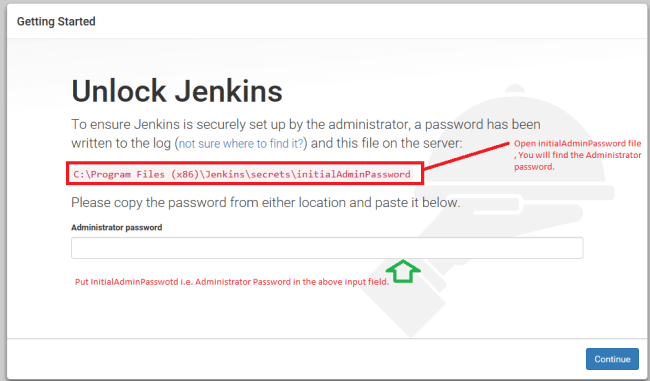 If you open the "initialAdminPassword" file in any text editor from the location (C:\Program Files (x86)\Jenkins\secrets), you will see content like the below screen. Just copy and paste in "Administrator Password" input box. Once you entered the password and clicked on "Continue" button. Now, you will be redirected to the page as shown in the below screen. For now, select "Install suggested plugins" and click on it. You will be redirected to the page as below screen. Now, you can see the recommended tools and plugins are being downloaded. Some of them have been downloaded already while others are being downloaded. Once all the tools and plugins have been installed, you will be redirected to the page as below screen. 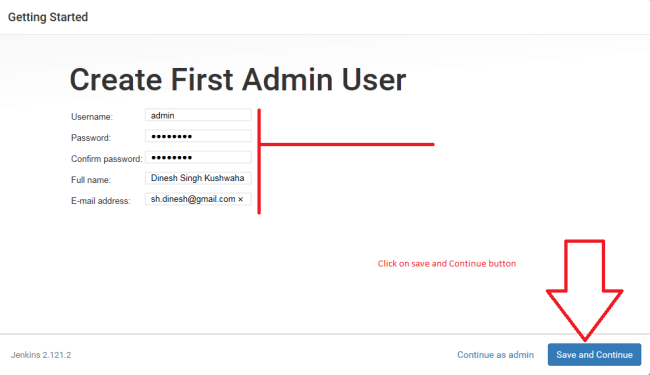 From the above window, you can create the first Admin user. Now, fill the above field and click on "Save and Continue" button. You will be redirected to the page as below screen. Click on "Save and Finish" button. You will be redirected to the page as in the below screen. 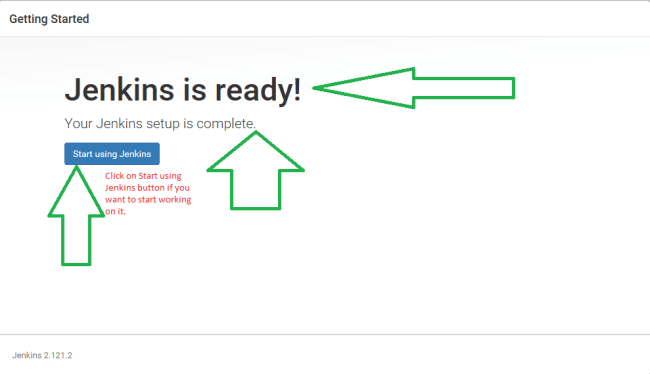 Now, click on "Start using Jenkins" button. You will be redirected to the page as on the below screen. If you are able to see the above screen it means Jenkins has successfully installed on your window machine. Congratulations! You have successfully installed and set up Jenkins on a Window machine. If you have any query or concern, just let me know or just put in the comment box and I will respond as soon as possible. I am open to discussing anything even silly questions as well. If you have any suggestions related to this article, please let me know and I promise I will improve this article to a maximum level.